Phoenix Sports Youth 3 v 1 Holmesdale Youth 1-0 Mills (66) (pen), 1-1 Obi (68), 2-1 Alymer (70), 3-1 Birch (72). On a bright Sunday morning Phoenix Sports maintained their perfect start to the season by winning their third league game against a battling Holmesdale side. 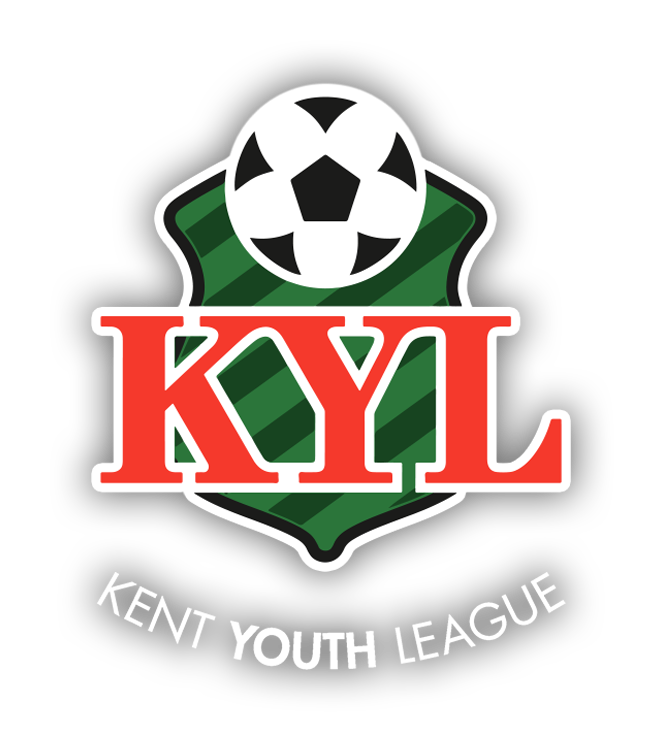 This match was a good advert for the Kent Youth League with both sides trying to play attractive passing football on the lush grass surface. 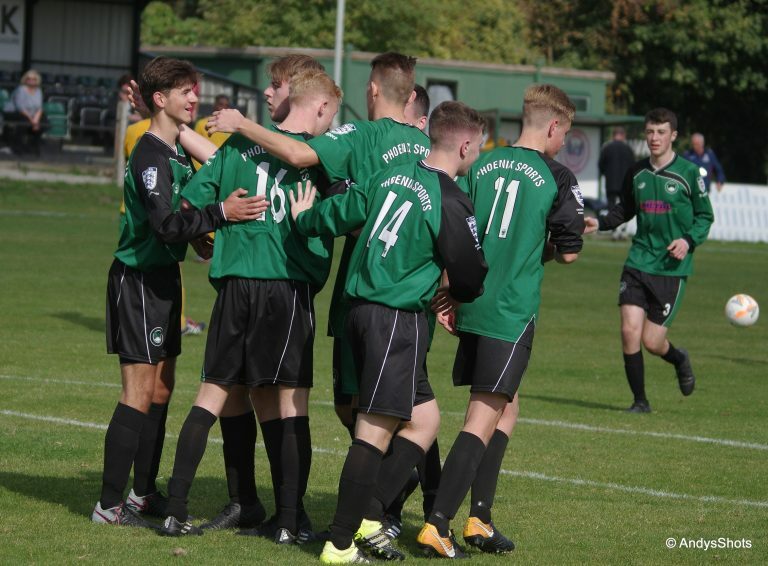 After an even start it was the home side who had the first chance of the game on 9 minutes when a flowing passing move saw Harry Cottey do well to win the ball in midfield before racing forward and laying the ball out to Harry Alymer on the right of the area. His low cross was well controlled by Joseph Stowell with his back to goal but he then turned and hit a low shot that flew narrowly wide of Holmesdale keeper Daniel Mamas’s right hand post Holmesdale’s powerful midfielder and captain Omar Belazregue then made space well before hitting a long range effort that flew straight at home custodian Bobby Mortlock. Phoenix then thought they had taken the lead on 27 minutes when another swift passing move saw Stowell play the ball up to Alymer who then found the forward run of Stowell on the right of the box. His low cross flew across the face of goal to the far post where George Jardine slotted home high to the right of Mamas but it was disallowed for offside. Just after the half hour mark Holmesdale’s Belazregue again tested Bobby Mortlock with another long range shot that he gathered well diving full length to his right. After this both sides probed for openings but the respective defences held firm and the first half ended goalless. Phoenix started the second half brightly and went close to opening the scoring when David Jones dinked the ball forward onto the run of Billy Mills whose shot from an acute angle flashed just wide across the face of goal. Minutes later Mills had another powerful shot deflected over for a corner as Phoenix pressed for the lead. The hosts finally made the breakthrough on 65 minutes when Jones played the ball into Alymer in the box and his clever sharp turn caught out Reece Stevens-King who brought him crashing to the ground for a penalty. This was coolly dispatched by Mills low to the left of Mamas who dived right. Amazingly having waited almost 3/4 of the game for the first goal the second came immediately as Holmesdale equalised straight from the re-start. William Keene threaded the ball through a static home defence onto the run of Obi who neatly tucked the ball home low to the left of the advancing Bobby Mortlock. Holmesdale’s talismanic captain and holding midfielder Belazregue then limped off causing a re-arrangement in the visitor’s line up. Shortly afterwards Phoenix restored their lead with a superbly taken goal from Alymer, who receiving the ball on the edge of the box took a touch before hitting an exquisite curling shot that flew home high to the left of the diving Mamas into the top corner of the net. Mills then had a shot well saved by Mamas for a corner from which Phoenix made it three when Daniel Birch powerfully forced the ball home at the near post to make it four goals in a mad 6 minute spell. It was nearly four for the hosts minutes later when Billy Hallly won the ball on the edge of his own box and went on a surging run upfield before playing in Mills on the right of the area and his fierce low shot brought out a good diving save from Mamas at his near post. Holmesdale’s Keene then showed good skill to fire in a half volley from the edge of the box that Bobby Mortlock held well. Into the final 10 minutes of the match another good passing move from Phoenix might have produced another goal when Stowell played the ball into Oliver Smith who in turn found the run into the box of Kieran McMillan but he dragged his shot wide of the target when well placed. The last chance of the game on 88 minutes was for the visitors when Nathan Lewer-Smith’s right wing cross fell to an unmarked Husnu Can at the far post but he also pulled his shot wide of goal when well placed. The game was played in a very good spirit and well officiated by Matt Charles, ably assisted by his linesmen Jonathan Gage and Andy Brown. Mention should also be made of the excellent behaviour from both benches who shouted positive encouragement to their sides throughout.